Women in most parts of the world are not having enough children to replace our population. This is one of the great issues of our time, but is hardly ever discussed. Yet the issue is very topical, with Chinese births falling to a 60-year low last year. Only 15.23 million babies were born, the lowest level since 1961 when the population was 654 million, less than half today’s 1.4bn. Soon, deaths will start to overtake births – as they have already in Japan. 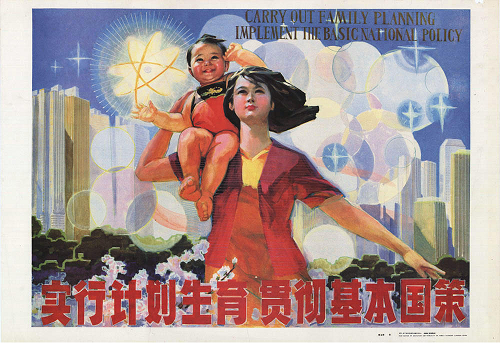 It used to be thought that China was a special case due to its “one child policy”, pictured above. But this law was relaxed in 2015. And although births did rise in 2016, as some couples took advantage of the new law, forecasts that births could reach 23m in 2018 have proved completely wrong. So only India is now above the replacement level of 2.1 babies/woman. And probably this will change within the next 5 – 10 years as latest national data shows that 12 states are already below replacement levels, whilst urban areas are at just 1.8 babies/woman. Of course, part of the reason is increasing life expectancy – women don’t need to have a baby every year to ensure someone is there to look after them when they grow old. 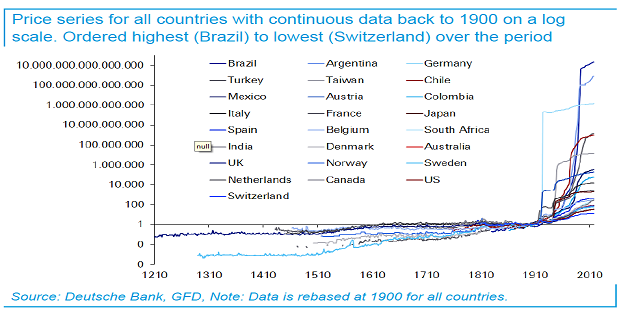 This was critical even 200 years ago, when life expectancy was just 30 years. 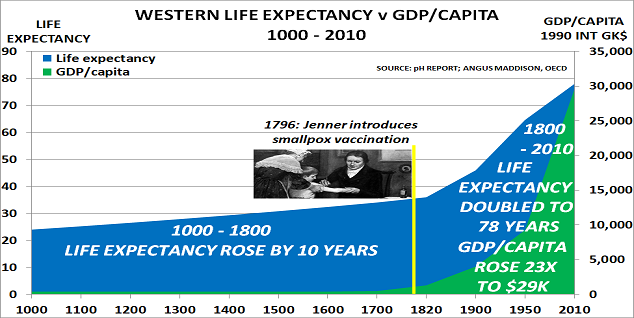 But after the discovery of smallpox vaccination, Rising life expectancy enabled the Industrial Revolution to occur and today, life expectancy has more than doubled. 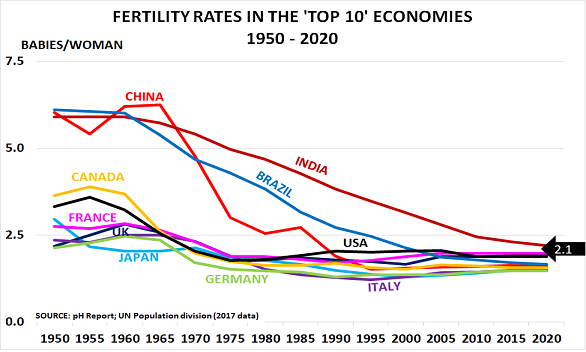 But another key – and related – issue is the collapse in fertility rates itself. It is easy to forget today that it is only within the last 100 years that men began to accept that women could play a full role in society. 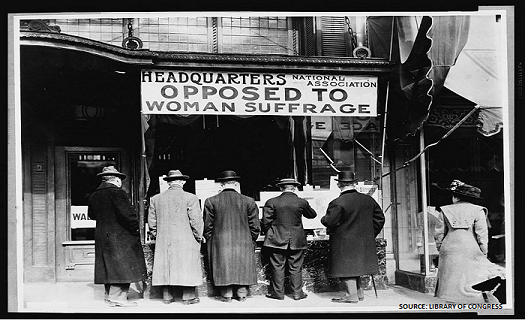 It was exactly a century ago, for example, that resistance to the idea of women voting began to crumble. The catalyst for change was World War 1. With men having gone to fight, women had to be allowed to leave the home and go to work. And when the men came back, they felt unable to stop the move to allow women to vote. But this didn’t stop men enforcing marriage bars until the 1960s. These meant that Western women would routinely lose their job when they got married, on the grounds that “it was the man’s job to earn the income, whilst the woman stayed at home with the children“. And, of course, women’s lives and ambitions were still restricted in a vast number of ways. Today, the collapse of fertility rates should be seen as a critical issue for society. Of course, not every woman wants to have children. But for those that do, there are at least 2 types of cost that currently discourage them. This is higher than China’s average per capita disposable income at just $4165 in 2018, according to government data. Most companies still operate a version of the same out-of-date policies. It’s time that they, and governments, began to wake up to the consequences. Common sense tells us that everyone would benefit from introducing more flexible working arrangements. And it is also the only way that we will get back to replacing our population, before it is too late. This quote isn’t from ‘Boom, Gloom and the New Normal: How Western BabyBoomers are Changing Demand Patterns, Again‘, the very popular ebook that John Richardson and I published in 2011. Nor is the chart from one of the hundreds of presentations that we have since been privileged to give at industry and company events around the world. “From 5000BC, it took the global population 2,000 years to double; it took another 2,000 years for it to double again. There weren’t that many of us, and lots of us died very young, so it took a long time for the population to expand. Fast forward another few centuries, though, and it’s a different story. The last point is especially striking, as US sociologist Viviana Zelizer has shown in Pricing the Priceless Child: The Changing Social Value of Children. We take the concept of childhood for granted today, but even a century ago, New York insurance firms refused to pay death awards to the parents of non-working children, and argued that non-working children had no value. “The Deutsche team notes that inflation became less fierce from the 1980s. We all think of this as being the point at which Paul Volcker – the heroic Federal Reserve chairman – jacked up interest rates to kill off inflation. But you know what else happened in the 1980s? The chart above from the New York Times confirms that that the good times are ending. Debt brings forward demand from the future. And since 2000 central banks have been bringing forward $tns of demand via their debt-based stimulus programmes. But they couldn’t “print babies” who would grow up to boost the economy. Today, we just have the legacy of the debt left by the central banks’ failed experiment. In the US, this means that the Federal government is almost at the point where it will be spending more on interest payments than any other part of the budget – defence, education, Medicaid etc. Relatively soon, as the Congressional Budget Office has warned, the US will face decisions on whether to default on the Highway Trust Fund (2020), the Social Security Disability Insurance Trust Fund (2025), Medicare Hospital Insurance Trust Fund (2026) and then Social Security itself (2031). If it decides to bail them out, then it will either have to make cuts elsewhere, or raise taxes, or default on the debt itself. 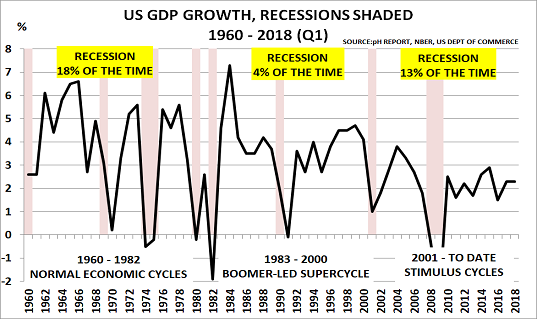 The post Boomer SuperCycle unique in human history – Deutsche Bank appeared first on Chemicals & The Economy. That rationale, I understood. I was the “party pooper” warning of crisis for nearly 2 years. But people didn’t want warnings. 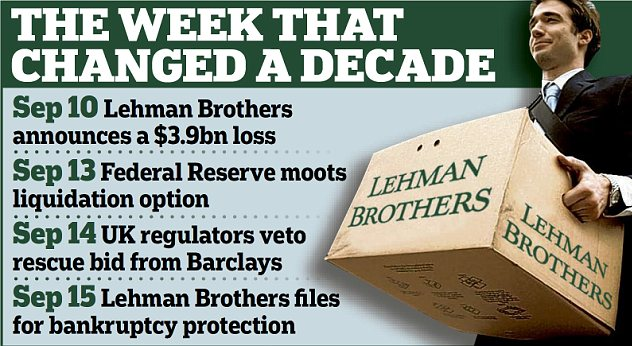 And, of course, until we got to March 2008 and Bear Stearns collapsed, I couldn’t answer their all-important question, “When is this going to happen?”. But I admit that what did surprise me, after John Richardson and I had written Boom, Gloom and the New Normal: how the Western BabyBoomers are Changing Demand Patterns, Again, was that people really liked our analysis of the impact of demographic change on the economy – but still ignored its implications for their business and the economy. This is critical information for central bankers, companies and investors, given that consumer spending is 60%-70% of GDP in most developed countries. 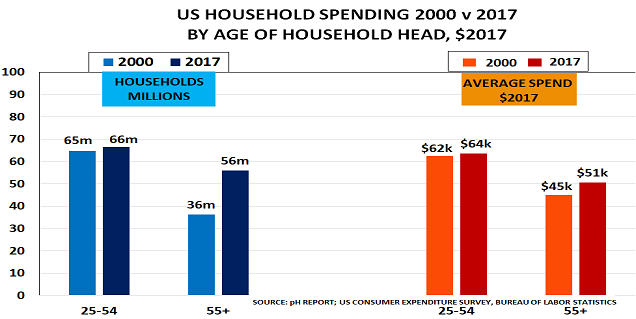 Equally, the second chart confirms that the US is also a rapidly ageing society, with 20m households having moved into the 55+ age range since 2000. 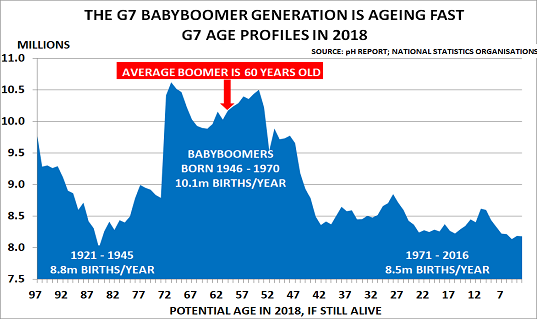 And whilst the 55+ group’s spending has increased over the period, this is only because many of the younger BabyBooomers are still in their 50s or early 60s. 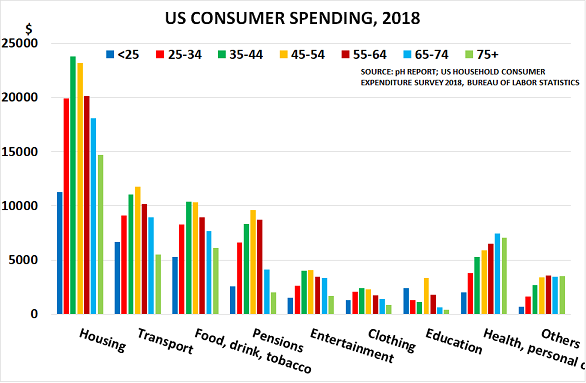 So whilst their spend is declining, it hasn’t yet suffered the 43% fall that occurs after the age of 75 (by comparison with the peak spending 45-54 period). Yet policymakers still insist that the 2008 crisis was all about liquidity, and had nothing to do with the impact of today’s ageing populations on spending and economic growth. And most companies also still plan for “business as usual”. SO WHAT HAPPENS NEXT, AS THE DEBT BURDEN GROWS? For obvious reasons, I disagree with these views. Of course, it would be lovely to find that today’s record levels of debt – created in the vain attempt to stimulate growth – could be made to simply disappear. I have read analyses by learned commentators arguing that central banks can simply “write off” their debt, and it will magically disappear. But I have never yet found a bank or credit card company prepared to “write off” any debt that I owe them in this way. (If you know of one, please let me know, and I will pass on the details). And most of us know from personal experience that interest costs soon mount up, if you can’t pay the debt at once and have to finance it for a while. ‘Why?’ it is going to happen, ‘What?’ it involves and ‘How?’ you can recognise the warning signs. The post Why everyone ignored my warnings ahead of the financial crisis appeared first on Chemicals & The Economy. The Financial Times has kindly printed my letter as their lead letter, arguing that the rise of the populists emphasises the risk of continuing to deny the impact of today’s ageing populations on the economy. Sir, Martin Wolf’s sobering analysis of policymakers’ post-crisis decision to “go back to the past”, ( “Why so little has changed since the financial crash”, September 5), brings to mind the celebrated “Paradigm of Loss” model developed by Elizabeth Kübler-Ross. Originally designed to describe how people come to terms with loss and death, it has since been more widely applied, including to economic and financial market developments. His description of the post-1918 period appears to be a classic example of the paradigm’s denial stage, with policymakers ignoring the economic impact of the earlier carnage. Young people are the prime source of future demand as they enter the wealth creator 25-54 age group, when people typically settle down, have children and develop their careers. The war cruelly destroyed the lives of millions of young men before they could realise this potential. As the paradigm would suggest, this denial then led to anger, and the rise of fascism and communism. This proved so intense that the next stage, bargaining, was delayed until 1945, when the adoption of Keynes’s new thinking finally allowed the cycle to complete. Today, we are again seeing a demand deficit created by demographic change. Thankfully, it is not due to war, but to the post-1945 increase in life expectancy and collapse in fertility rates. 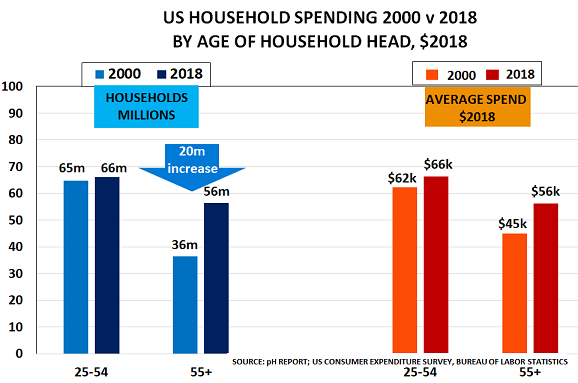 Inevitably, therefore, consumer spending — the motor of developed economies — is now slowing as we have an ageing population for the first time in history. Older people already own most of what they need, and their incomes decline as they retire. Just as in 1918, this means we need new policies to create “a better future”, as Mr Wolf notes. In their absence, the rise of the populists suggests that we instead risk moving into a new anger phase. It is not yet too late for new thinking to emerge, but time is starting to run out. The post Financial crises and the five stages of loss appeared first on Chemicals & The Economy. Is global economic growth really controlled by monetary policy and interest rates? 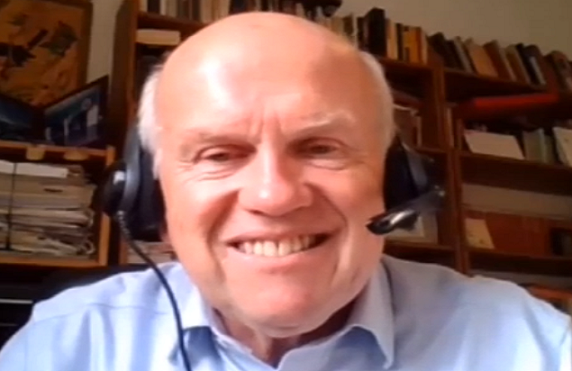 Can you create constant growth simply by adjusting government tax and spending policy? Do we know enough about how the economy operates to be able to do this? Or has something more fundamental been at work in recent decades, to create the extraordinary growth that we have seen until recently? Why was this? Was it because we became much cleverer and suddenly able to “do away with boom and bust” as one UK Finance Minister claimed? Was it luck, that nothing much happened to upset the global economy? Was it because the Chairman of the US Federal Reserve from 1986 – 2006, Alan Greenspan, was a towering genius? Perhaps. Or was it because of the massive demographic change that took place in the Western world after World War 2, shown in the second chart? Babies, as we all know, are important for many reasons. The key development was the arrival of the Boomers in the Wealth Creator 25-54 age group that drives economic growth. Consumer spending is 60% – 70% of GDP in most developed economies. And so both supply and demand began to increase exponentially. In fact, the Boomers actually turbocharged supply and demand. Breaking with all historical patterns, women stopped having large numbers of children and instead often returned to the workforce after having 1 or 2 children. US fertility rates, for example, fell from 3.3 babies/woman in 1950 to just 2.0/babies/women in 1970 – below replacement level. On average, US women have just 1.9 babies today. In turn, this meant that women no longer needed to stay at home having babies. This turbocharged the economy by creating the phenomenon of the two-income family for the first time in history. Policymakers ignored the growing “demographic deficit” as growth slowed after 2000. But their stimulus policies were instead essentially trying to achieve the impossible, by “printing babies”. The result has been today’s record levels of global debt, as each new round of stimulus and tax cuts failed to recreate the Boomer-led economic SuperCycle. That recession is now coming close. There is very little time left to recognise the impact of demographic changes, and to adopt policies that will minimise the risk of disorderly global defaults. 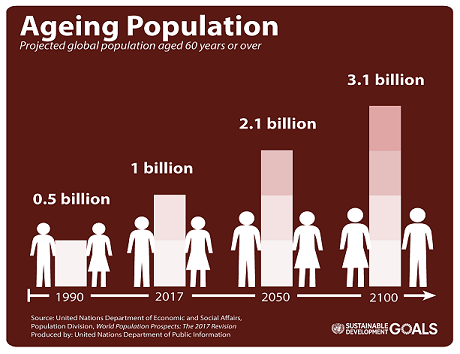 The post Time to recognise the economic impact of ageing populations appeared first on Chemicals & The Economy.